You do not need to be worried about your garden growing out of proportion. Neither do you need to worry about those shrubs, grass, trees or edges in your yard. We are experts in maintaining a healthy, clean and pleasant looking environment so that you can go about with your business uninterrupted. We, at Gardening Angels, would like to hear from you. Contact us today on 0467 001 100 or fill in our online form and we will give you a free quote. What determines lawn mowing frequency? The rate at which a lawn is growing will determine how regularly it will require mowing. Only one-third of the actual shoot growth should be cut at any mowing event (1/3 Rule) to avoid stressing the turf. A good example is that if a lawn has been mown at 2 inches, it must not be left to grow more than 3 inches before it is mown again. For lawns which have grown extremely high, the mowing height should be progressively decreased to the suitable height over a period of several mowings rather than at once. This minimises the excess development of clippings as well as preventing physiological shock to the plant which may happen when the grass is critically defoliated after being left to grow too high. What do you need to remember when trimming your garden hedges? Always begin by cutting your hedge from the bottom and work up, in subtle sweeping movements. The sloping of the edge is also very important. The hedge should be wider at the ground than the top. Always handle the top last, whether you have an internal hedge or a boundary hedge. Come back the following day and work on any parts that you may have missed. 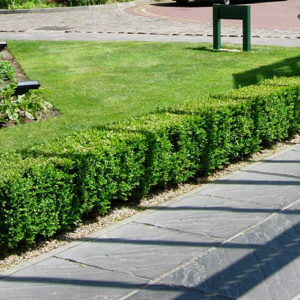 At Gardening Angels, gardening hedge trimming is one of our key business that we do at your convenience. Whether on weekdays, weekends or even during public holidays. We are always ready to show up when called upon. How do you plan on what to clean? When using high pressure cleaning, be cautious when sprinkling around flowers, windows, postage box, eaves, light fixtures, or vents. They can be damaged or even break if you aim directly at them. Be mindful when cleaning the edges around windows. Tiny, unnoticeable holes can drip water inside your home. To prevent such occurrences check for dents, scratches, and holes, on the frame of the window. High pressure cleaning is akin to painting. If you get too excited, you may end up spraying everything and everywhere. Be careful not to miss hidden spots and clean places twice. If you are a resident of Altona North and you would like professional lawn mowing and gardening hedge trimming services, you are in the right place. We can work on any type of property or assignment, and we are keen to deliver high quality services to our customers here in Melbourne.